Harley-Davidson recently appeared outside the front of the White House, alongside Donald Trump, to promote their all-American product. For years, the company has battled on, despite the high taxes and regulations, and remains to this day one of the most competitive motorbiking businesses in the world. Perhaps it’s the look of its bikes, maybe it’s the brand: but whatever it is, the company is something of a survivor, carrying on through thick and thin and making products that bikers all over the world love. This year, the company is introducing a new Road Glide. The bike has practically the same looks as the old version which, of course, divided opinion from the outset. Some people absolutely loved the “sticky-outy” front of the bike around the headlamps, saying that it gives the bike unparalleled character. For others, it’s an eyesore that looks like a shark nose. The looks of the bike are a love-it-or-hate-it affair, but most would agree – even the haters – that the overall aesthetic is improved from previous versions of the bike. Moving down the bike, it becomes clear that it’s mean for a single ringer, with large cosseting able to handle riders of any size. At the rear of the bike is the gas tank, which sticks out in front of the dashboard, complete with old-school dials. And the whole bike is covered in a chrome finish which, again, is a matter of personal taste. 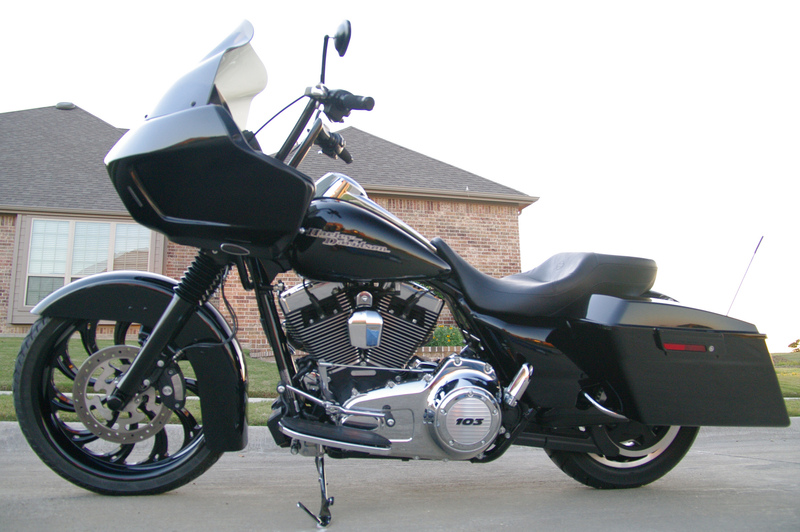 According to Bikers Basics, ride quality and brakes are among the most important features of a bike. They can mean the difference between escaping a collision and being dismounted. Harley Davidson, like BMW and other bike manufacturers, are looking for ways to improve the ride quality as well as the braking systems on their bikes. For instance, the new Road Glide features dramatically improved suspension over the older version, as well as better brakes. Previously, rear suspension was achieved through an air pump, but this wasn’t something that Harley’s customers really understood. Over time, the air pump lost pressure and suspension performance at the rear end suffered. The new system goes back to an old-fashioned hand-adjuster, meaning that is is easier to figure out, according to the head of product planning, Paul James. Harley Davidson has decided in 2017 to equip its entire touring lineup with four-valves-per-cylinder engines despite the fact that it has left the rest of the bikes in its range unchanged from the previous year. The chief engineer at the company, Alex Bozmoski, says that the new engine is the most analyzed engine of any at the firm, and perhaps in all of biking history. Bozmoski says that he wanted to impress riders with an amazing interaction of the engine’s original feel. He says, though, that riders don’t need to worry about the character of the bike being different. The Road Glide still retains that trademark agricultural feel as it rumbles to life. Thanks to advances in engine technology, it is gentler though, providing a smoother experience. Vibration has been reduced to a minimum, following changes in the rest of the industry. Previous page Previous post: What is Hid Kit and what is a HID Conversion Kit used for? Next page Next post: Can You Really Trust A Car Dealer?